Practitioners should be diligent in educating the team and clients to recognize inappetence and understand the nutritional requirements of each patient. Key indicators of inappetence are frequently overlooked in a patient’s history because they are considered by the owner as variations of normal. In order to avoid missing vital information, every appointment should obtain the following information to ensure a full nutritional assessment. Considerations: Is the diet complete and balanced to provide adequate nutritional intake for this patient? Considerations: Is this amount of the diet complete and balanced to provide adequate nutritional intake? Are the patient’s MER and resting energy requirement (RER) being met? Considerations: Does the patient seem to be a selective eater? Does the owner find it necessary to routinely change diets to keep the pet interested in eating? Is the patient excited for treats but not for a balanced diet? Action: Make strong recommendations for complete and balanced diets4 that are highly palatable. Advise owners to make any food changes gradually (over several days) in order to avoid potential GI upset, which can lead to subsequent food aversion. Considerations: Is the patient losing weight without any intentional efforts by the owner? Action: Provide clients with a printed weight history and body condition score (BCS) chart at each appointment. Pursue full diagnostic work-ups to determine underlying causes as needed. Considerations: Body condition and muscle condition scores can change with or without concurrent weight loss.6 These assessments can help indicate how inappetence should be addressed. Burney D, Cook A, Freeman L, Johannes C. Inappetence: its many forms and clinical management. Clinician’s Brief. 2018;16(2):51-56. Ettinger SJ, Feldman EC. Textbook of Veterinary Internal Medicine. Vol 1. 7th ed. St. Louis, MO: Saunders Elsevier; 2010. What is inappetence? Aratana Therapeutics. https://entyce.aratana.com/about-inappetence. Accessed May 2018. Basic calorie calculator. The Ohio State University Veterinary Medical Center. https://vet.osu.edu/vmc/companion/our-services/nutrition-support-service/basic-calorie-calculator. Accessed May 2018. Larsen J. 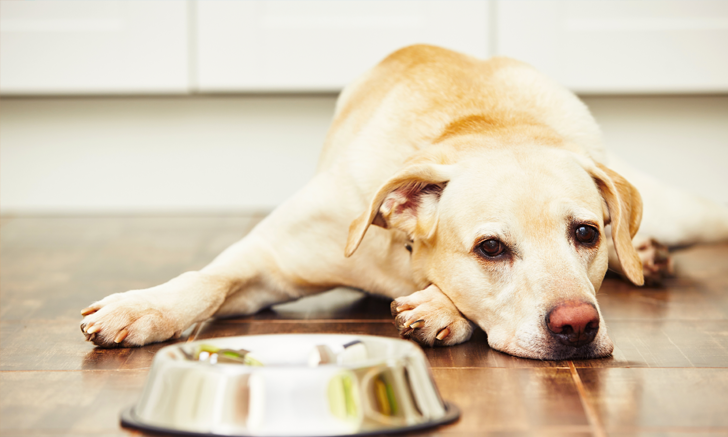 Pet food regulation: understanding AAFCO guidelines. Clinician’s Brief. https://www.cliniciansbrief.com/article/pet-food-regulation-understanding-aafco-guidelines. Published February 2013. Accessed May 2018. Freeman LM. What’s your pet’s score? Assessing muscle condition. Petfoodology Blog. http://vetnutrition.tufts.edu/2017/11/mcs. Published November 2017. Accessed May 2018. Farcas A. Need to switch your pet's food? Here are key steps to take. Vet Street. http://www.vetstreet.com/our-pet-experts/need-to-switch-your-pets-food-here-are-key-steps-to-take. Published January 2016. Accessed May 2018.